Featuring music from Pet Shop Boys, Queen, Whitney Houston, Crowded House, Missy Higgins and a host of favourites from Australia, New Zealand and around the world. 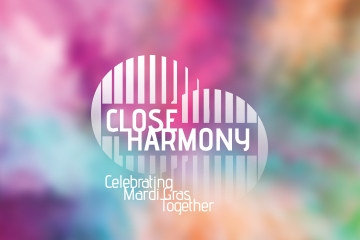 You’ll be uplifted, moved, and taken on a musical adventure through harmony and we might even get you singing along! The Glamaphones are Wellington’s LGBTQI community choir. Like SGLC they are non-auditioned and place great emphasis on participation, inclusiveness and building community.